Jack Clifford, 9, is all smiles as he and his dad Damon prepare to load the family Christmas tree Sunday near Sunlight Mountain Resort. The Clifford family, in Jack, 9 Damon and Kristin along with the family dog Boomer, make their way back to their truck after harvesting the prefect tree for Christmas last Sunday near Sunlight Mountain. 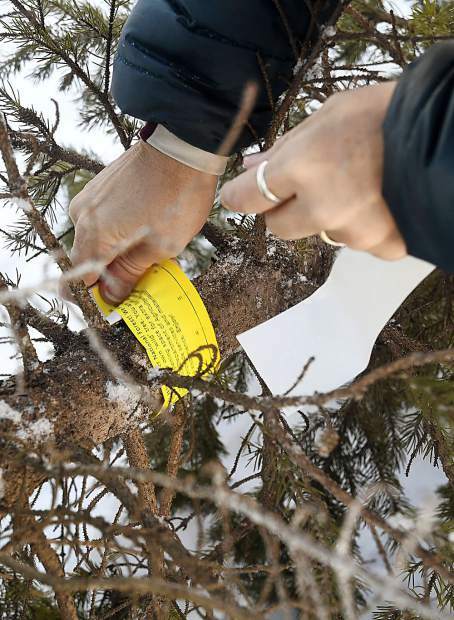 Kristin Clifford tags their tree with the permit they recieved from the White River National Forest. Jack Clifford watches as his dad Damon cuts down the famlies tree for this Christmas. Jack a fourth-grader at Glenwood Springs Elementary, was one of the many that took advantage of White RIver National Forests free christmas tree permits for fourth graders. 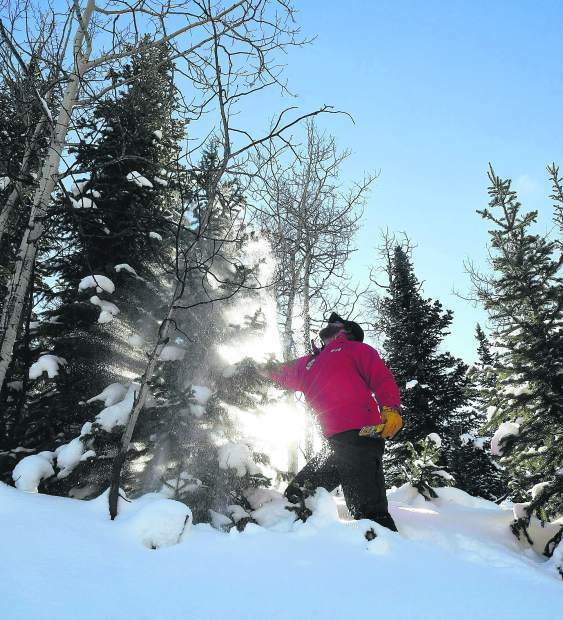 Damon Clifford shakes the snow off a tree as he and his family search for their Christmas tree Sunday near Sunlight Mountain. 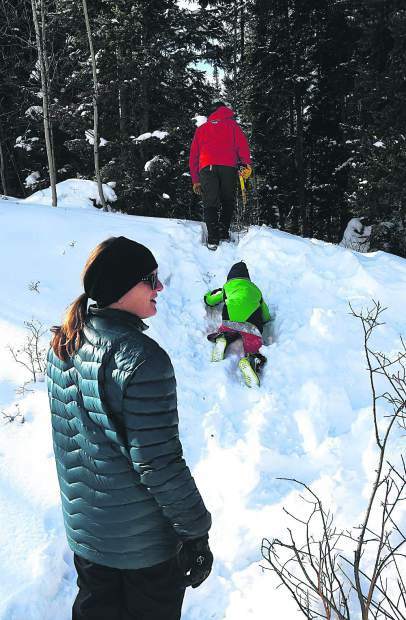 The Clifford family, Kristin, Damon and Jack head into the White RIver National Forest near Sunlight Mountain Resort, as they search for the perfect Christmas Tree. 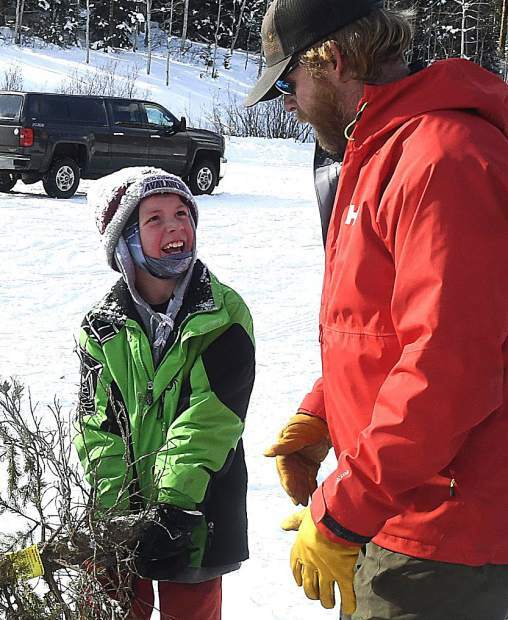 With Christmas fast approaching Glenwood Springs Elementary fourth grader Jack Clifford, 9, was really excited to go on his first Christmas tree hunt. 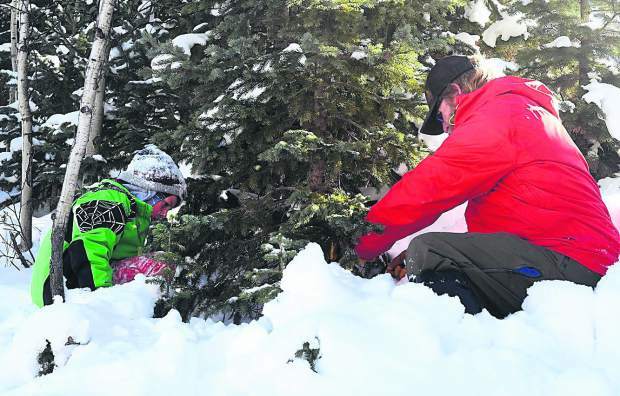 Thanks to the “Every Kid in a Park” initiative, the U.S. Forest Service and White River National Forest is giving out free Christmas tree permits for fourth graders and their families. “It’s been at least a decade since we have done this, before Jack was born,” his dad, Damon Clifford, said. Last Sunday Damon, mom Kristin and Jack Clifford all took to the mountains of the White River National Forest to harvest this year’s family Christmas tree. 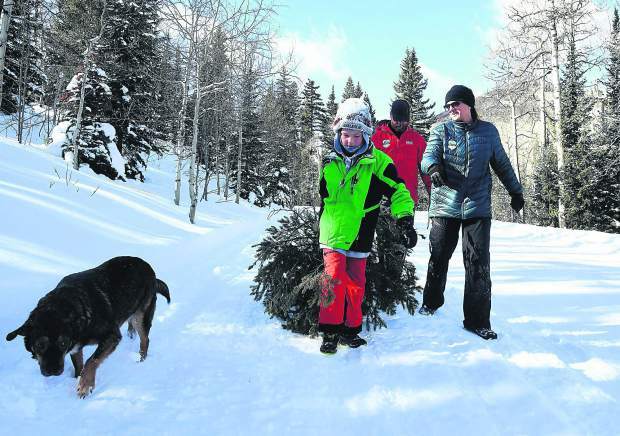 It didn’t take long for the Cliffords to find their tree, as they hiked through the knee-deep snow above Sunlight Mountain Resort off of Four Mile Road. With a few strokes of a saw, the tree was down and ready to packed out. “This is probably the best tree we’ve ever had,” Jack said as he jumped around in the snow. 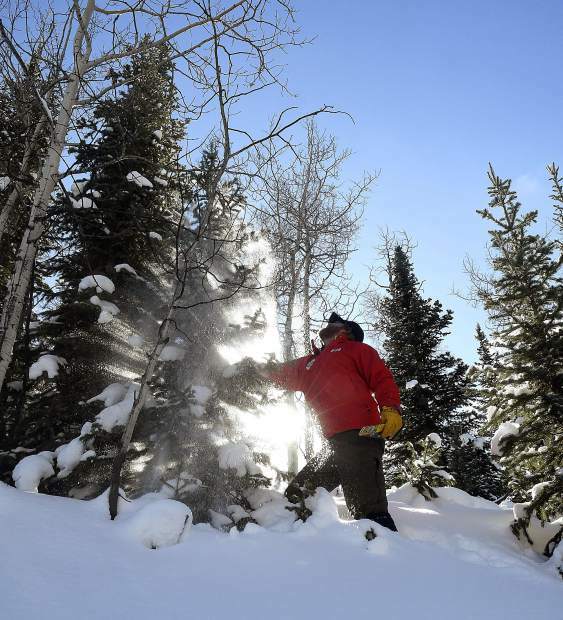 Without batting an eye, Jack grabbed ahold of the tree and began the hike back. Smiling the whole way back, Jack couldn’t stop talking about the experience.